32 Glenpark Harriers took part in Saturday’s Greenock parkrun, with 5 of them getting PBs! Cheryl Thomas, Fiona MacFarlane, Katie Johnson, Claire Monaghan and Malcolm MacLean all set new best times over the 5k course. For Malcolm, it was his first run under 20 minutes, taking 25 seconds off of his previous best time. It was a 3rd pb in 4 weeks for Claire Monaghan who has now taken 2 minutes off of her best time in the last 6 weeks! Alan O’Rourke’s Monday and Wednesday sessions paying big dividends for many of the runners. It was a Harriers 1, 2, 3 in the mens placings (out of those who had a barcode…) Chris Mooney fought off Andrew White and Daniel Doherty to finish in 16.46, only 8 seconds off of a pb. It was a legitimate 1, 2, 3 for the ladies with Donna Clark just edging out Fiona MacFarlane and Claire Monaghan. There were plenty of Harriers enjoying parkrun tourism as well. Eddie Devine was out in Derry watching his son Chris race in the vets cross country, and took in the local parkrun beforehand. 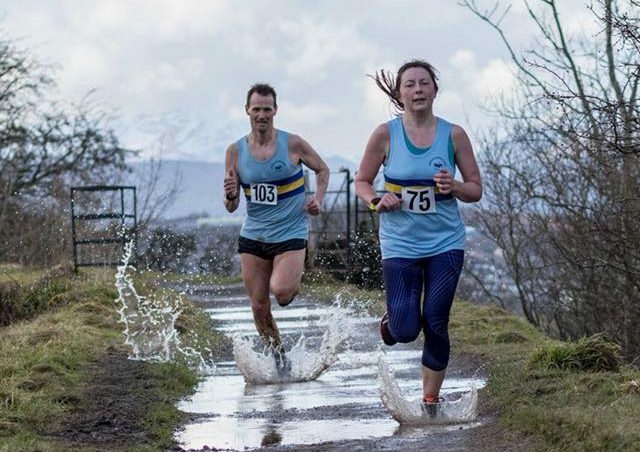 Sean Marshall and Viki Smith ran at Linwood, with Viki getting a new course pb. Emma O’Rourke ran at Victoria parkrun, Heather Kangley ran at Strathclyde and Nicola Stevenson ran as a tail runner at Ruchill. Mick McLoone and Paul Monaghan represented Scotland at the British and Irish Masters cross country race in Derry on Saturday. The race was ran over a 5 mile course on the banks of the River Foyle. Paul competing in the v45 category completed the course in 30.59 and Mick in the v50 in 29.52 for 11th in his category. This entry was posted in Uncategorized on November 23, 2017 by greenockglenparkharriers.